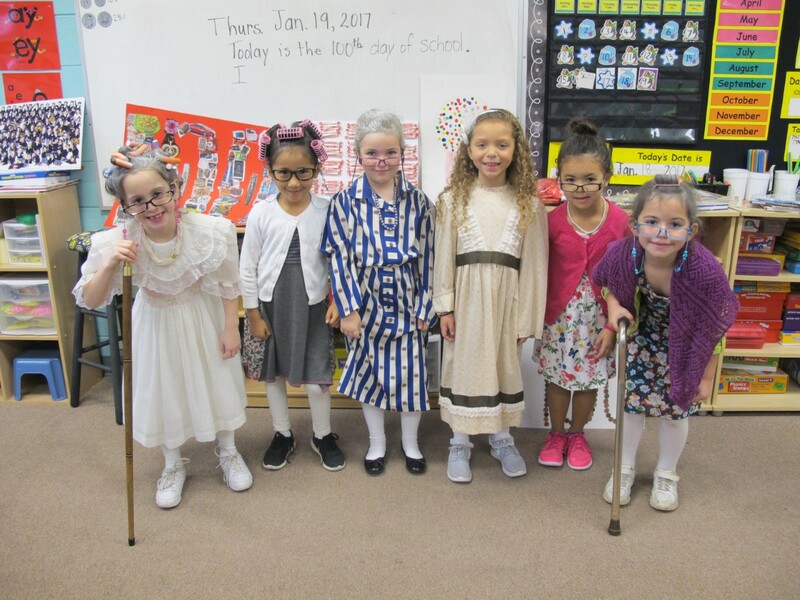 OLF Elementary celebrated the 100th day of school with numerous activities by each grade. Ms. Broussard’s 1st grade class marked the occasion by having each child dress up as a 100 year-old man or woman. 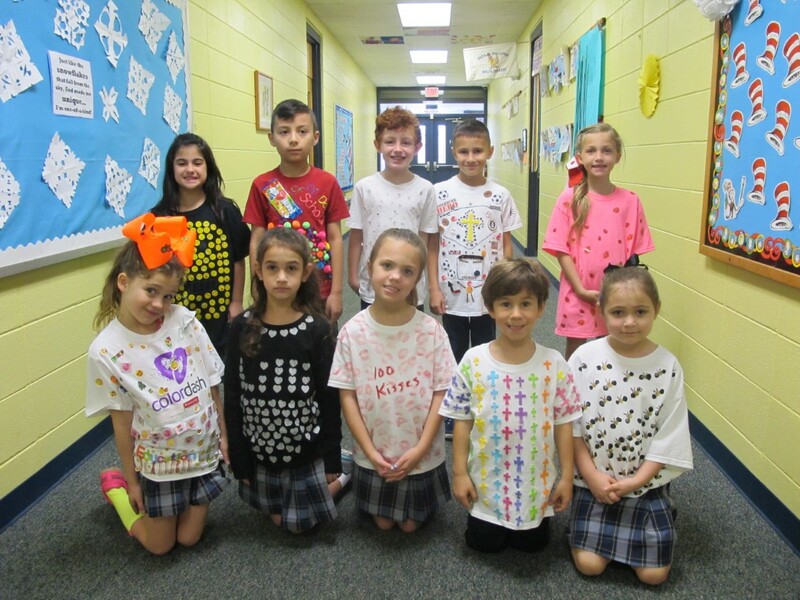 The second grade class used their creative minds and put 100 things on a T-shirt. Principal Cindy Hahn said that teachers use the 100th day of school to take a break from the normal routine as they practice math skills using games and activities based on the number 100.